We Albertans love camping! We only get a couple months of the year to enjoy the summer and many of us make the most of it and spend plenty of time out exploring with our furry family members along for the ride. We pack emergency kits for ourselves and our families, but do you pack first-aid supplies for your pets as well? Whether you are just out for a day hike, spending the long weekend camping or headed out to the lake, the proper gear and preparation are essential parts of a well-planned outing. If your pooch hasn’t had a vet visit lately, it is important to start there. Up to date vaccinations, deworming and anti-parasitic medications that protect against ticks/lice are an important first step before heading out. 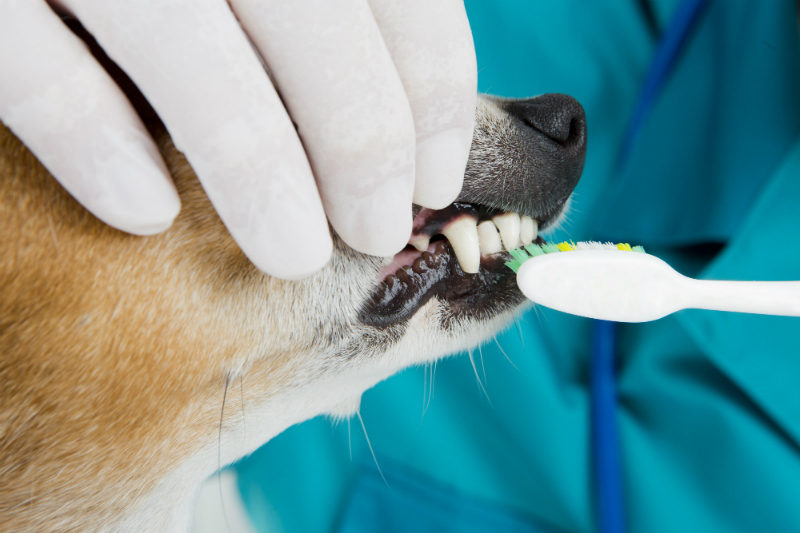 Although not very common, cases of rabies have been documented in Alberta and are still a risk. Having a dog up to date on vaccines not only protects them but aids in disease prevention and supports public health. Ticks have become more and more prevalent in Alberta, and although Lyme disease is uncommon here, ticks are a nuisance to us and our pets. Rabies vaccinations are also very important if you are crossing the border into the United States. If you are headed down south this summer, first call the clinic to double check your pet is up to date with vaccines. We can print/email/fax the vaccine certificate to you that the border requires. Be prepared, and bring supplies. A good first step is to make sure your dog has proper identification. No matter how much you trust your dog, sometimes they get away or get lost. Collars with name tags and phone numbers are key. If your dog doesn’t have a tattoo in its ear, consider a microchip. Microchipping is also something to consider if travelling outside of the province as tattoos are provincial. Know where the closest animal hospital is. If anything does happen, this is one less thing to worry about. Think about what you would bring for yourself – food, water, clothes for different weather conditions, a first-aid kit. Consider the same thing for your pet. If you have a pet on medications, don’t forget them! If you are headed out on a boat, make sure you have life jackets for your pets, and access to shade. Plan for stops – if your family is stopping for lunch and it is a hot day, plan ahead so you can avoid having to leave Fido in a hot car. Leaving pets in hot cars can be lethal, even if it is only for a short time. Keep an eye on your pet! 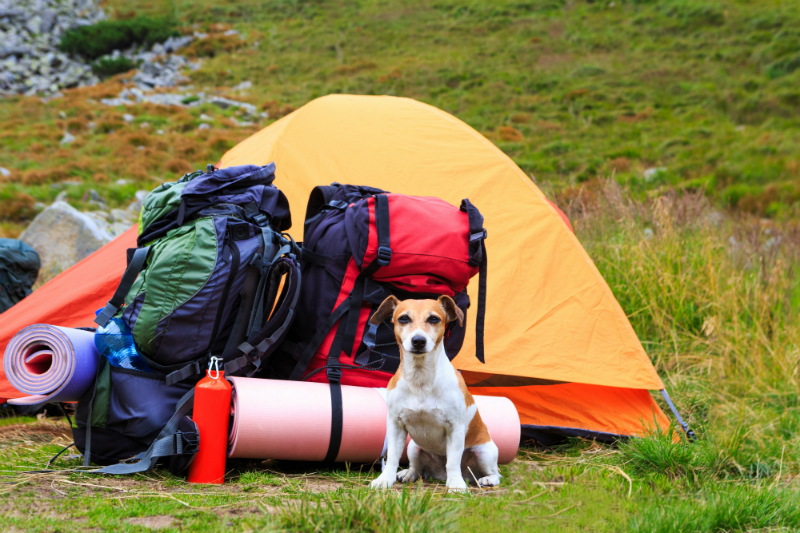 It may seem obvious, but lots of camping accidents happen because owners just aren’t paying attention. Around campsites, make sure you clean off grills after cooking food, check campsites for items left behind by other campers that may pose a risk, check to see if there are other pets around, and always make sure you know the rules/regulations regarding on/off leash at the campsite. Especially important is keeping your eyes out for other animals, whether it be other dogs, horses or wildlife. Horse trails are popular in the Kananaskis area and throughout much of the Provincial campsites in the Rocky Mountains, and if your dog hasn’t had experience with horses, always look and listen for any riders on the trails. Porcupines, although cute, don’t love being sniffed out by dogs. Attaching bells to dogs is a great way to warn others of your presence so you don’t happen to startle any wildlife in the area. Watch out for vegetation that could make your pet sick. Mushrooms, berries and some flowers are poisonous to dogs if ingested. Also watch out for plants like foxtails that can become lodged in skin, nasal passages, ears or throat and cause irritation. Always make sure that your pet has access to shade and water – especially if they have been running around for extended periods of times. Although tents do provide shade, don’t leave pets in zipped up tents unattended – it can be similar to leaving pets in a car on hot days. Tarps and trees work great for shade! If you want more information on pet safety while exploring this summer there are many online resources you can check out. The Alberta Park has a PDF online you can check out about, the ASPCA has a great webpage about pet safety outdoors.